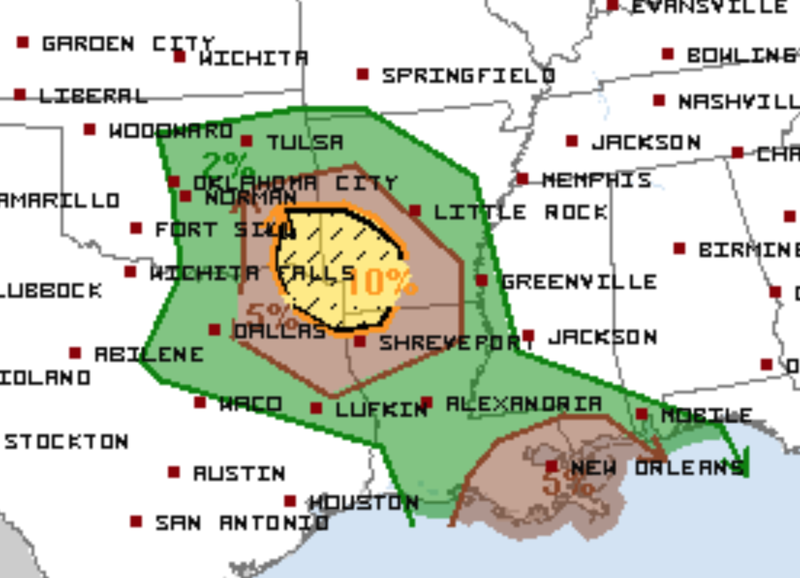 The area in brown is a significant risk of tornadoes. It includes New Orleans, Shreveport, the east part of the DFW Metroplex, Muskogee and Little Rock this afternoon and tonight. The area in yellow is an enhanced risk of tornadoes. 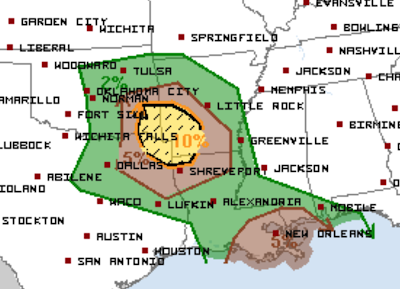 The hatching means there is a risk of strong tornadoes, including during the night. I no longer live-blog tornadoes but I will try to update again around midday. In the meantime, please make sure friends and relatives in this area know of the risk and are prepared.